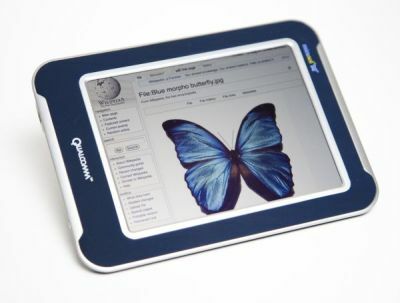 Qualcomm has confirmed to Pocket-lint that it will launch, in connection with a partner, a device, probably an ebook reader, that features its Mirasol colour screen technology in the first quarter of 2011. An announcement is expected at CES in Las Vegas in January. The company wouldn't tell Pocket-lint which partner would be making the announcement, but did confirm that, after months of waiting, shoppers would be able to get their hands on the revolutionary technology. I wonder who Pocket-lint are talking to at Qualcomm? I can't get anyone at Qualcomm to respond to my emails, much less pass along a hot tip like this. Nate, I think that you should remark that the ereader is going to be presented is a prototype or demo of sorts. That’s not what they’ve been saying lately. Someone is supposed to have a Mirasol device on the market next year.